Data Integration solutions can be complex with many moving parts involving complex data factories with multiple pipelines. Monitoring provides data to ensure that your data factory pipelines stay up and running in a healthy state. It also helps you to stave off potential problems or troubleshoot past ones. In addition, you can use monitoring data to gain deep insights about your application. This knowledge can help you to improve application performance or maintainability, or automate actions that would otherwise require manual intervention. 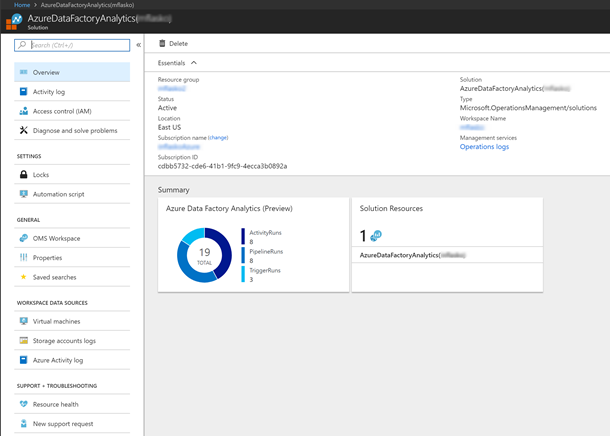 Azure Data Factory (ADF) integration with Azure Monitor allows you to route your data factory metrics to Operations and Management (OMS) Suite. 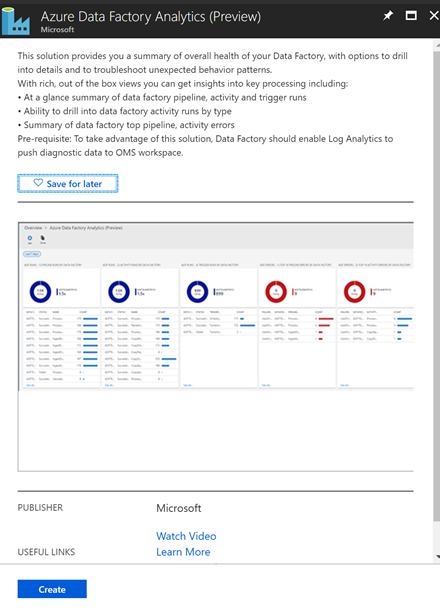 Now, you can monitor the health of your data factory pipelines using ‘Azure Data Factory Analytics’ OMS service pack available in Azure marketplace. You can also dig deeper into each of the pre-canned view, look at the Log Analytics query, edit it as per your requirement. You can also raise alerts via OMS. You can route metrics from different data factories to the same OMS account and do monitoring across data factories as well. 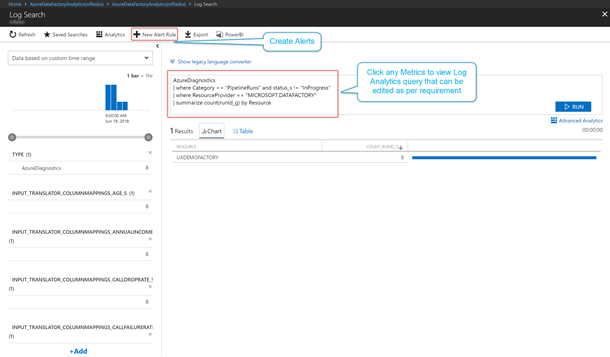 Simply enable the diagnostics settings for your data factory and route data to your Log Analytics workspace. Get more information and detailed steps on enabling the Azure Data Factory OMS service pack.